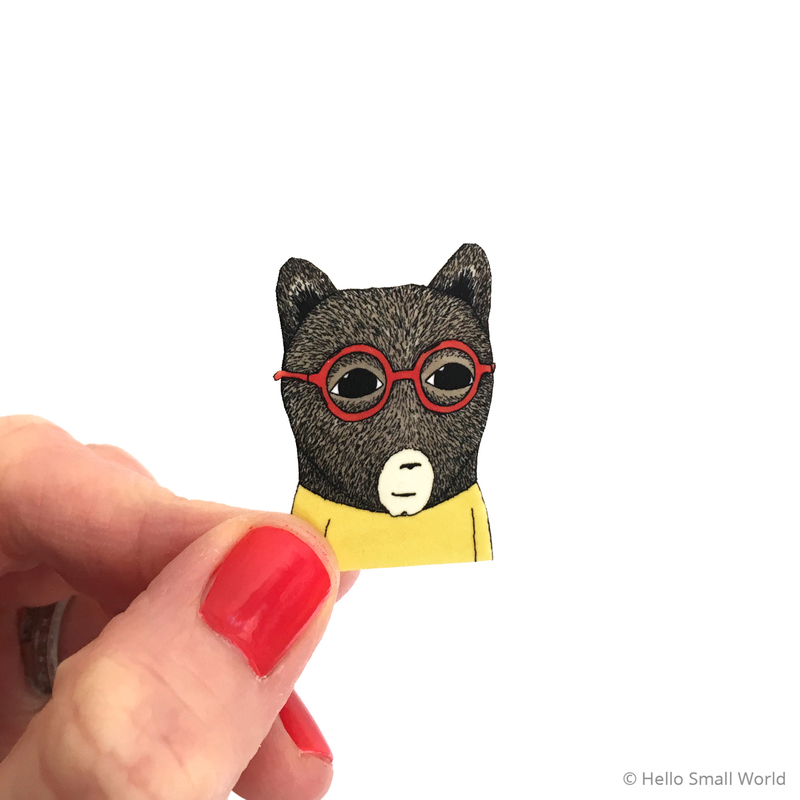 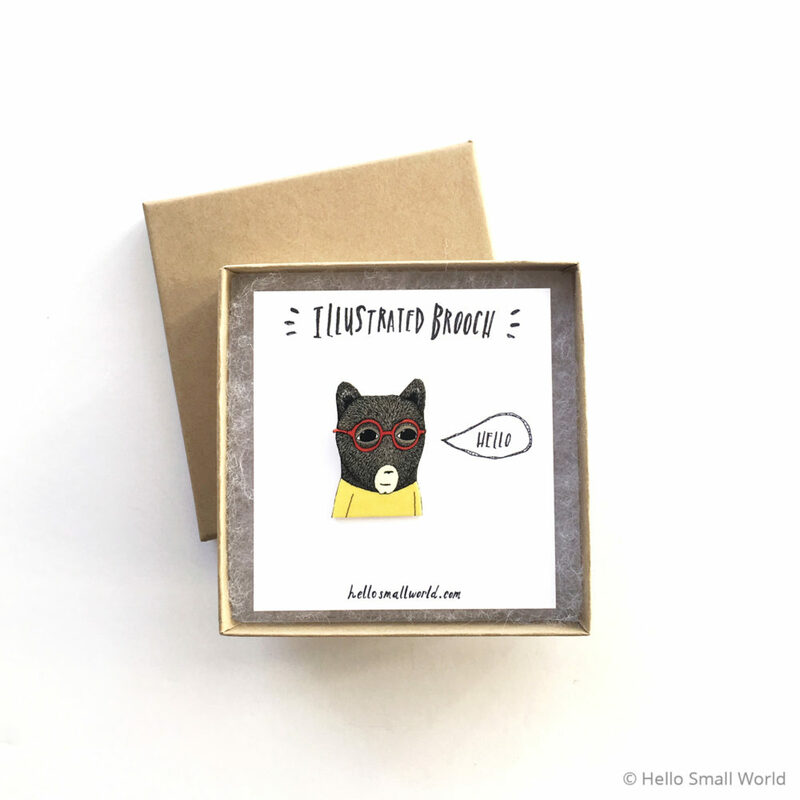 This illustrated plastic brooch is of a hand drawn bear wearing glasses. 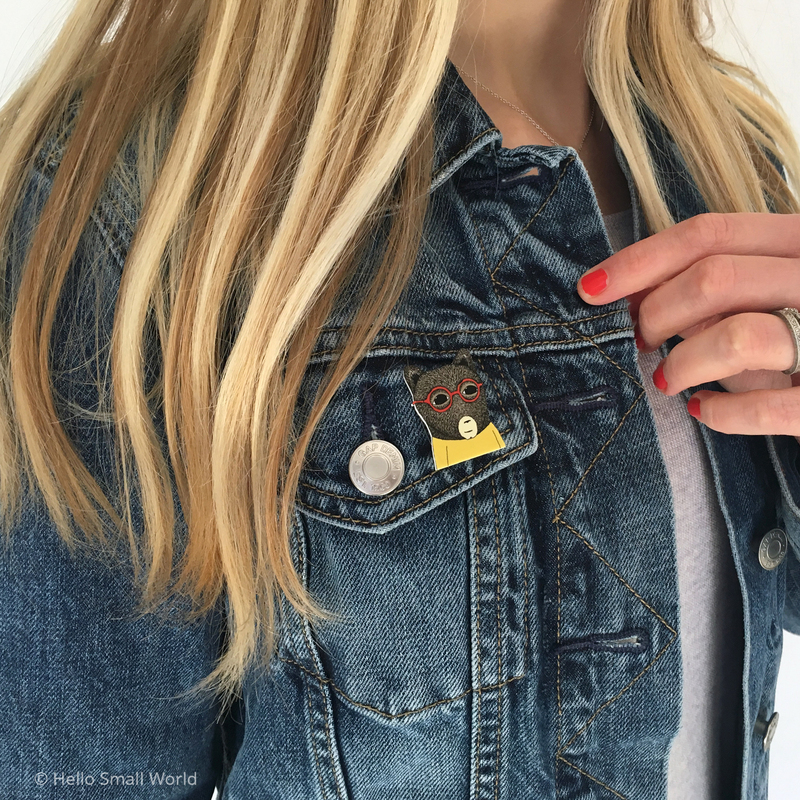 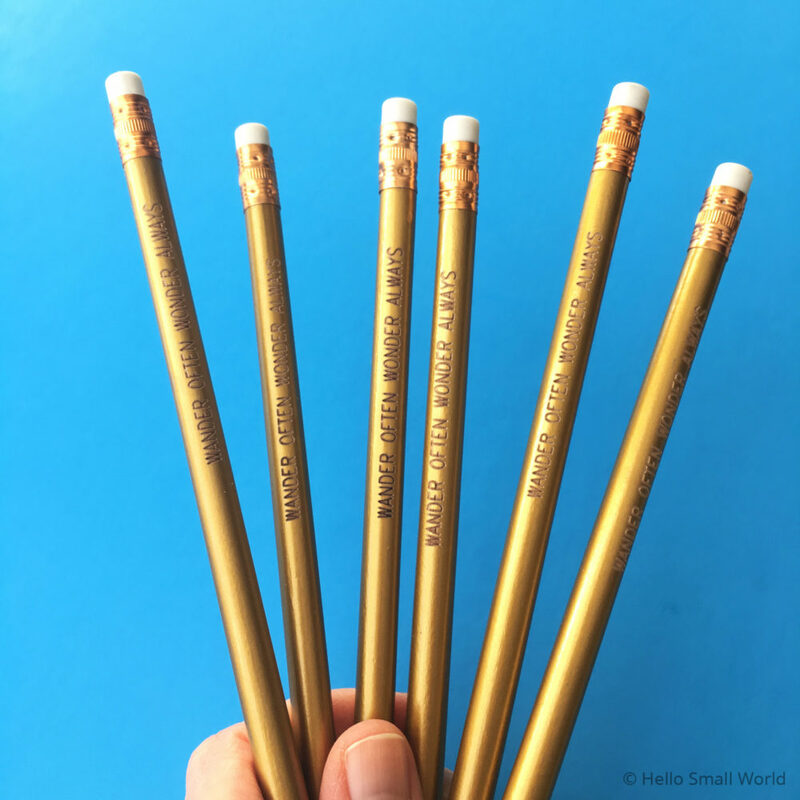 This little bear pin makes a quirky addition to any cardigan, denim jacket or tote bag! Each brooch is made with shrink plastic and coated with a clear UV protective coating.